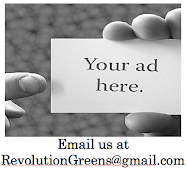 The Green Restaurant Association℠ (GRA), a national non-profit organization, provides services in research, consulting, education, marketing and community organizing. The GRA utilizes a collaborative strategy that involves restaurants, manufacturers, vendors, grassroots organizations, government, media, and restaurant customers. The GRA's model provides a convenient way for all sectors of the restaurant industry, which represents 10% of the U.S. economy, to become more environmentally sustainable.